Moving to the Châteauneuf-du-Pape from bottle, the 2016 vintage was described as having the power of 2010 and similar to yet fresher than 2007. 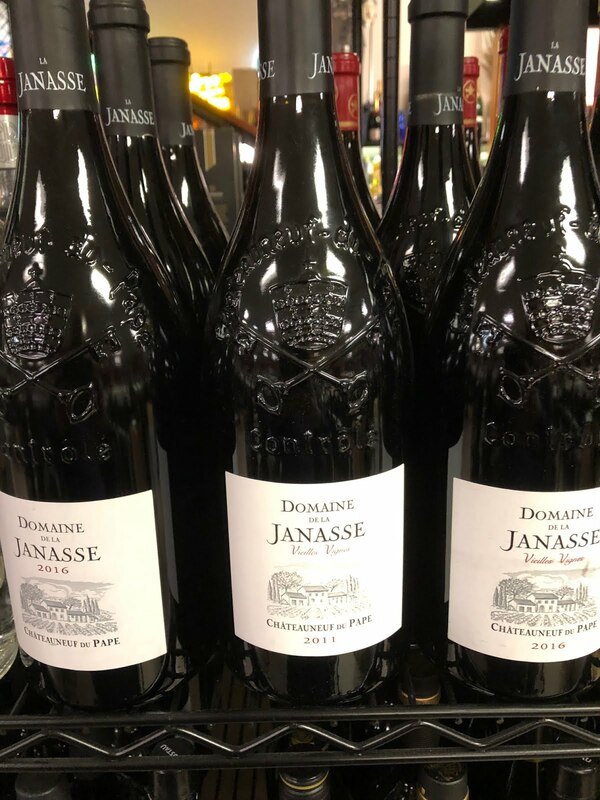 The 2016 Châteauneuf-du-Pape offers a great bouquet of black raspberries, tapenade, crushed violets, and spring flowers, and shares lots of similarities to the Chaupin cuvée (and it’s less expensive!). Full-bodied, incredibly elegant and seamless, it might be the finest traditional cuvée ever produced from this estate. Bottled at the same time, the 2016 Châteauneuf-du-Pape Cuvée Vieilles Vignes gives up more cassis, tapenade, underbrush, cured meats, and earth, and it’s a slightly more dense, backward wine compared to the Chaupin. Full-bodied and beautifully concentrated, with tons of structure, it stays fresh and elegant, has sweet tannins, and a blockbuster finish. It's an incredible, borderline perfect wine from this estate that will keep for two decades or more. And a candidate for the wine of the vintage, the 2011 Chateauneuf du Pape Vieilles Vignes is always a rough blend of 85% Grenache and the balance Syrah, Mourvedre, Clairette and other permitted varieties, that has the Grenache aged all in foudre and the Syrah and Mourvedre aged in one-third new barrels (that’s less than 6% of the blend in new barrels). Exhibiting gorgeous black fruits, spice-box, toast, licorice and roasted meat-like qualities on the nose, it is full-bodied, concentrated and layered on the palate, with loads of texture, yet delivers no weight, heat, or ever puts a foot wrong. Shockingly good in the vintage, it should not be missed. Hats off to Christophe and Isabelle. Drink now-2027. Coming from a cooler, sandy terroir in the northeastern part of the appellation, the 2011 Chateauneuf du Pape Cuvee Chaupin (which comes 80% from the Chaupoin lieu-dit and 20% from the La Janasse lieu-dit, hence the subtle name change) is 100% Grenache, from vines planted in 1912, that’s aged two-thirds in foudre and one-third in demi-muid. Gorgeous all around, with plenty of similarities to the traditional cuvee, yet slightly richer and fuller, it delivers beautiful mulled red and black fruits, licorice, spice and tinges of stony minerality on the nose. Full-bodied, supple, seamless and elegant, with fine tannin, it makes the most of a difficult vintage and is certainly one of the top 10-12 wines. Drink now-2023.